natalie149/FlickrThe ruby slippers from ‘The Wizard of Oz,’ displayed at the National Museum of American History. Seventy-seven years after “The Wizard of Oz” movie was released, Dorothy’s famed ruby slippers are in dire need of repairs — about US$300,000 worth to be exact. To garner the funds, the Smithsonian Institution (where the shoes currently reside) is asking the public for donations. On Monday, it launched a Kickstarter fundraising campaign, and as of Wednesday, it’s nearly halfway to its US$300,000 goal. More than 2,600 backers have already given US$145,000. Kickstarter/ScreenshotMuseum conservator Richard Barden examining the slippers. Since the 77-year-old shoes were given to the Smithsonian in 1979, they have turned from a sparkly red to a bleak brown. The ruby slippers’ sequins are falling off, and some of the threads have broken. The coating on the sequins that give them the red colour has worn off, too. If the Kickstarter makes it to US$300,000, the money will go toward repairs, conservation, and a new display case that’s designed to protect the shoes from future harm. It will have a calibrated light exposure and controlled humidity and temperature. The Smithsonian also plans to move the slippers to a new exhibition on American pop culture that’s set to open in 2018. 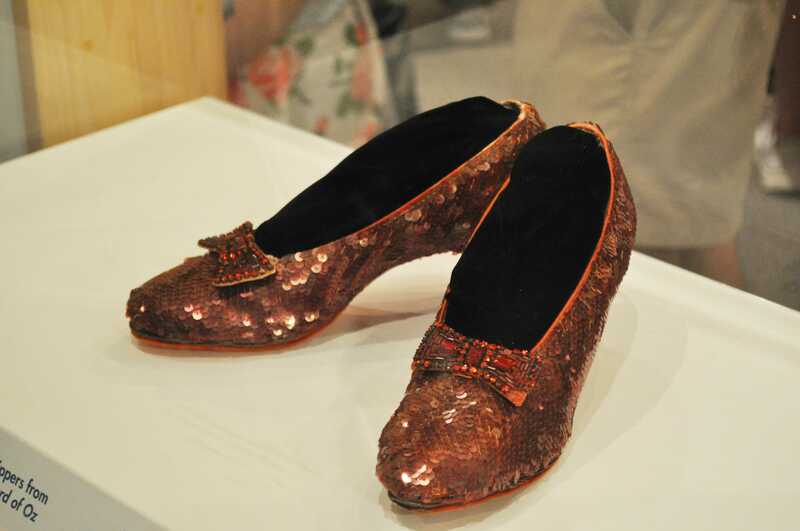 The MGM Studios prop department made the shoes, which were worn by Judy Garland in the 1939 film. Most movie props are made quickly and cheaply, since they’re only meant to last the length of the shoot. 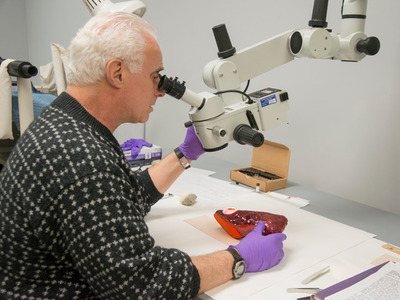 But according to the BBC, the pair of slippers are still one of the most viewed items at Smithsonian’s National Museum of American History in Washington, DC. Though the lofty price tag for the repairs might be surprising, the fact that the Institution has already been able to raise so much money is not. The shoes are so iconic, in fact, that the Smithsonian has hardly had to do more than click its heels three times for its wish to be granted.